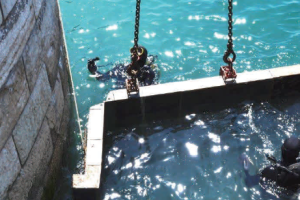 In 2015, RESOLVE Marine Group acquired Steel Mac Ltd., a Gibraltar-based diving, salvage and marine services provider, and TP Towage, which serves as the only provider of harbour towage in and around the Port of Gibraltar. These two acquisitions portray RESOLVE’s continual investment into our global response posture and client-focused attitude in maritime services. 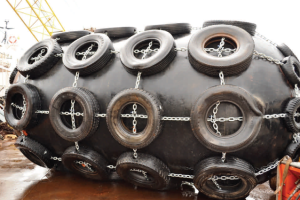 We are pleased with our recent investments in Gibraltar and are very proud to establish a salvage station for Gibraltar and surrounding areas. 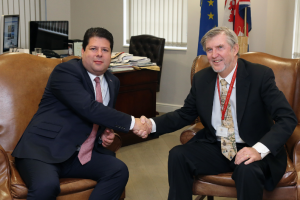 “Gibraltar’s strategic location, stable modern governance and thriving economy are many of the benefits we have identified during our decision process,” said Joe Farrell, President and CEO of RESOLVE Marine Group. This strategic move builds on RESOLVE’s commitment to continued growth of the company’s emergency response capabilities in Europe and Africa. In addition to Gibraltar, RESOLVE maintains response depots in Singapore, Mumbai, Shanghai, Cork, Ireland, and Dutch Harbour, Alaska. The company also maintains fully stocked response depots across the United States and offices in Fort Lauderdale, Florida; Mobile, Alabama; New Orleans, Louisiana, as well as Anchorage and Dutch Harbour, Alaska. RESOLVE has positioned its 144tbp salvage tug, the RESOLVE BLIZZARD, in Gibraltar to provide firefighting, oil pollution control and emergency response services for the maritime industry across the Mediterranean, Africa, and Europe. 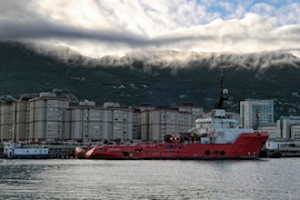 For more than 25 years, SteelMac has served the region around the Port of Gibraltar and North Africa with a wide range of support services including vessel emergency response, diving and R.O.V services, oil pollution response, marine/cargo surveying, waste handling, and plant hire. “We are delighted. RESOLVE brings investment and global know-how to the table, which together with our established local reputation and infrastructure, can only benefit our community in the Mediterranean, North Africa, and the Port we operate in,” said Elias Tapiero, who previously served as Managing Director of Steel Mac and is now Business Development Manager for Resolve Salvage & Fire Gibraltar. “This also enables us to further enhance the services we offer and to provide these at a global level,” he added. We are guided by the mission to protect the marine environment and property at sea by exceeding the highest safety standards in the business. We envision a maritime industry with fewer casualties, minimal environmental impact, and greater efficiency. We are not only driven by our values, we are defined by them. Resolve is Client Driven: Our clients motivate us and we are passionate about engineering solutions to solve their biggest problems. Resolve is Family Owned: We are an international, family-owned business. That means not only do we have the capabilities to serve you across the globe, we make decisions fast because we don’t need to seek approval from a parent company. Resolve is People Oriented: Our mission is to protect the marine environment and property at sea, but we equally value our people – that means we consider the needs of our clients, resource partners, and staff at every stage of a project. Resolve is Diverse: We hire bright, talented people from various backgrounds because we know that unique and varied perspectives provide the most innovative solutions. In 1980, RESOLVE was founded in Fort Lauderdale, Florida by Joseph E. Farrell, Jr. A US Coast Guard and US Navy veteran, Farrell acquired his first tug and served as captain and owner as he launched his marine salvage operation in Florida and the Caribbean. RESOLVE grew along with its reputation for successful completion of challenging assignments. Expansion into maritime emergency response soon followed. Farrell had recognized a need for salvors to be qualified to meet the new US Coast Guard requirements under the OPA-90 regulations that followed the Exxon Valdez oil spill disaster. Through aggressive expansion of RESOLVE’s emergency salvage & marine firefighting (SMFF) response capabilities, the company was soon positioned to respond to commercial tanker emergencies in U.S. waters. Today, RESOLVE provides SMFF coverage for almost 25% of all vessels entering and working within U.S. waters. As a leading SMFF service provider, RESOLVE required well-trained marine firefighters. To meet RESOLVE’s own needs and the needs of the maritime industry for marine firefighters, Farrell created specialized marine firefighting training programs. In 1999, RESOLVE Maritime Academy was founded to train both RESOLVE responders and mariners in all sectors of the industry. In 2006, RESOLVE acquired and developed a nine-acre port facility near Mobile, AL to serve the Gulf of Mexico. The company expanded internationally, opening first a United Kingdom operations base followed by Singapore operations, to serve Europe and Asia. A Mumbai office followed. In 2010, RESOLVE acquired a New Orleans-based naval architecture and marine engineering firm to form RESOLVE Engineering Group, Inc. 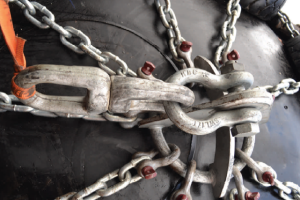 In 2011, RESOLVE formed a Ship Pollution Response Organization joint-venture in China. The Shanghai-based Shanghai Resolve-Shengmin OSRO Company (SRSOC) provides oil spill response services throughout the People’s Republic of China ports and coastal waters. From 2012 to present, RESOLVE has expanded even more. Additional establishments within the Americas now includes the far reaching, heavily trafficked, and remote area of Dutch Harbour, as well as the commercially buzzing region of Anchorage, AK. RESOLVE was recently granted APC (Alternate Planning Criteria) coverage capability by the USCG after a stringent vetting, and now offers coverage to nontank vessels transiting the coast of Alaska through a joint venture with NRC named 1-Call Alaska. Across the pond, RESOLVE recently acquired two maritime companies within Gibraltar; one harbour towage company, complete with four harbour tugs, and the other a marine services company capable of serving the marine industry off of Gibraltar, Spain, and beyond. RESOLVE’s most recent venture includes the creation of an emergency response outreach based in Cape Town, South Africa. 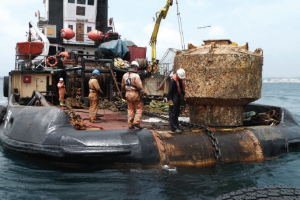 This new post consists of experienced Salvage Masters, Technicians, Divers, Emergency Response equipment and a RESOLVE owned Emergency Tow Vessel.